he organization pockets are conveniently placed on the exterior and interior of the main compartment flap. 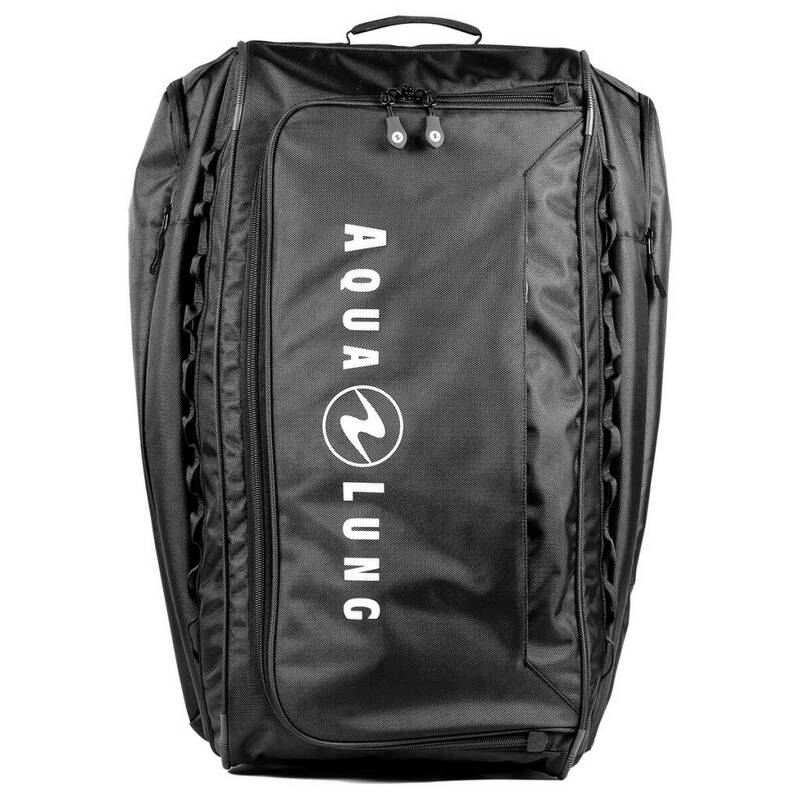 Aqua Lung’s Explorer II Roller bag is made to fit all of your equipment. Everything you’ll need for a successful adventure, vacation and dive will fit in the Roller. The side pockets are made to fit longer fins, such as the Phazer fins in size XL, while both sides have anchor loops either for mounting gear with carabiners or securing the bag somewhere safe. Both the interior and exterior organization pockets are located in convenient areas of the bag. The Roller makes it easy for you to get ready for your next dive. Lugging around a large, overweight bag filled with scuba diving equipment can be a burden on anyone, especially in airports and high-traffic areas. 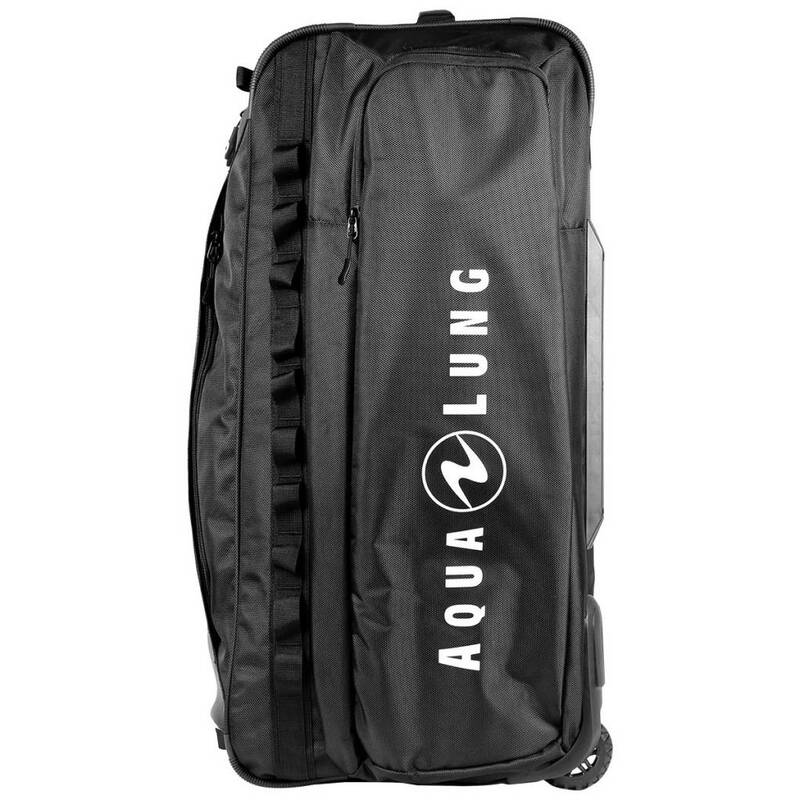 Aqua Lung’s Explorer Roller bag is lightweight, despite being able to fit all your equipment. No matter where you are, the Roller bag makes it easy to get from point A to point B with little resistance. Having a bag with wheels makes transport that much easier. The last thing you’ll want is to have to worry about your bag, so rest easy knowing the Explorer Roller is perfect for any occasion. Dive equipment is expensive, delicate and needs to be taken care of. Why take any chances? The Roller bag is made of extra durable PVC- coated 1680D Polyester and is reinforced in high-wear areas. The zippers on the Roller are #10 Locking Corrosion Resistant and have extended pullers. With a rebounding PE Board Frame and a protective V-Diamond base with corner guards, it’s clearly abrasion resistant. 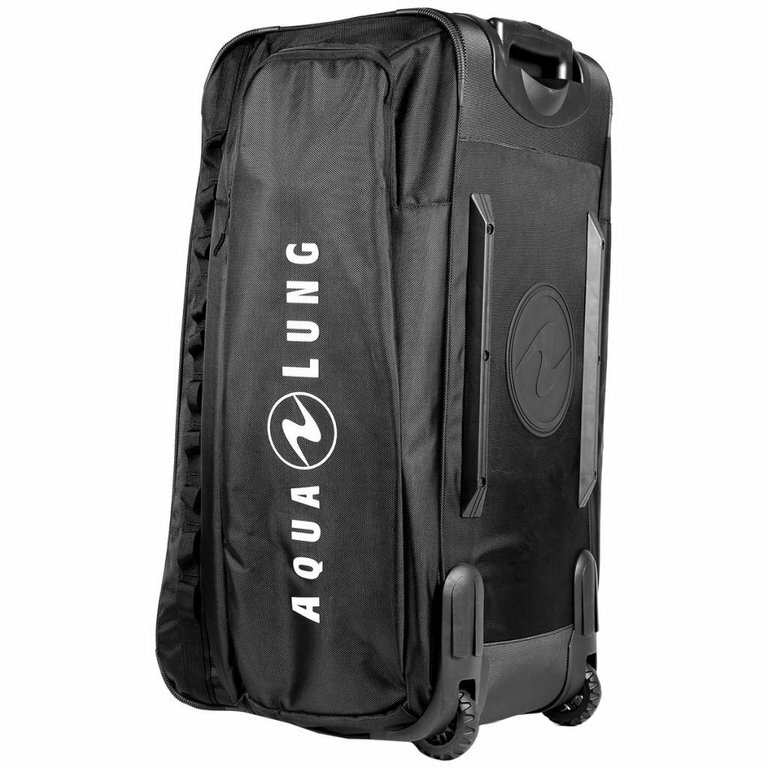 The Roller bag secures equipment and protects it from the airport to the water.